Are you spending quality quiet time with God? Here are some encouraging scriptures about having a quiet time. 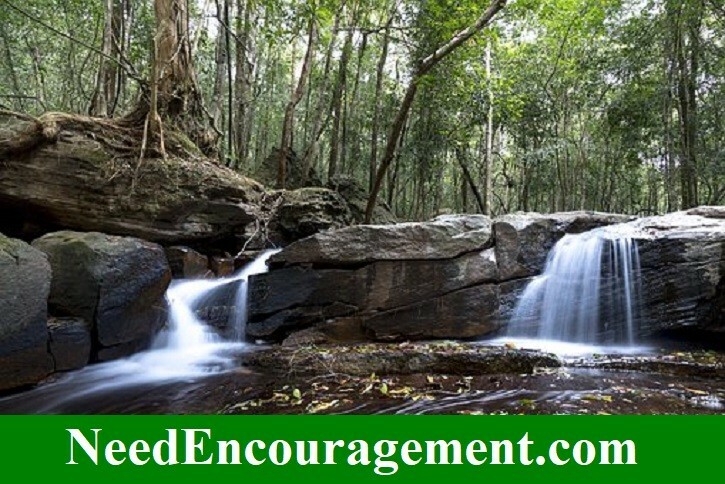 Psalm 23:2 He makes me lie down in green pastures, he leads me beside quiet waters. How To Have A Good Devotional Time! I have found great value in having a quiet time, putting all together (reading, meditating, journaling, and prayer). It’s called having a daily quiet time where you consistently practice all of those things. The amount of time needed for a quality quiet time can vary. I believe 30 minutes is what it takes for me to find a scripture in my concordance that is on my heart and mind to start of my day, or what event happened the day before in general. (this way of reading makes it more applicable to my life) rather than reading something that someone wrote. After I find the exact scripture from the concordance that I want to study, I find it in the Bible and read the entire chapter whatever book located in the Bible. Then after that, I write my thoughts and how it pertains to my life concerning the scripture I chose, in approximately one or two paragraphs. Then below that, I write usually 5-9 prayer requests for the day, praying for family, friends, and others and also myself. After that, I use my highlighter and highlight anything I want to stand out in my memory. Then I pray out loud those prayers I just wrote down. To end my quiet time, I go over the Bible memory verses that I have, and I found that having too many to memorize is not a good idea, a comfortable number of scriptures between 5-10 would be a good number I discovered. What Are The Benefits Of Having A Quiet Time? How Long Should All Of This Take Me? Doing all of this takes me between 30 to 45 minutes at the most. Consistency is very valuable. You may want to customize your quiet time to fit your needs. But whatever you decide to do, do it unto the Lord our Savior. Keep your eye on the goal or purpose of these activities: to know God, to understand how God wishes you to live (his will for you), and to be in an intimate relationship with Him. But at the same time, you must carve out time and make it a priority. Pick a consistent time and place to have a daily quiet time. By picking a constant time and place, you can more easily say “NO!” to other requests for your time or attention. You already have an appointment with God during that time. In your prayers, ask God to guard this time. Distractions and competing agendas will happen. You will need God’s help to protect your time together. Alone With God In Your Quiet Time! Where To Have Your Quiet Time With God?